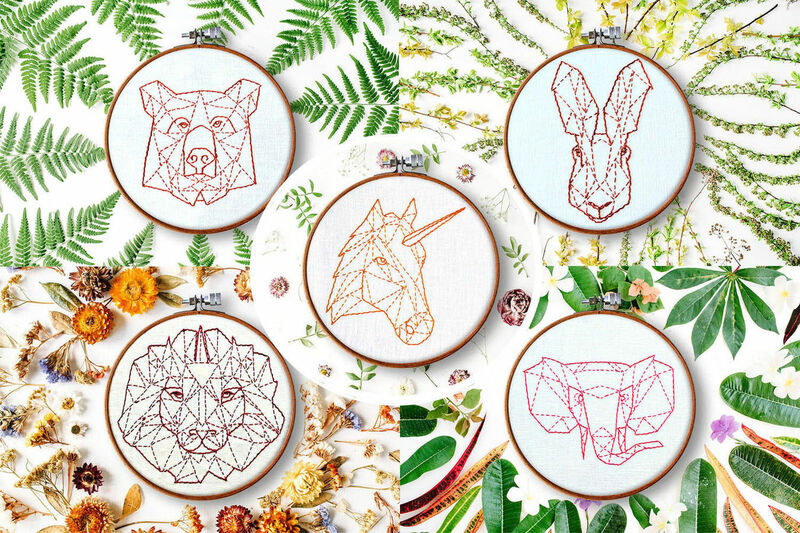 The geometric animal patterns are beginner embroidery patterns. With the easiest of all stitches you can create your own pieces of art for your home. Just trace the lines on a piece of fabric and these furry fellows will come into existence through your hands!